I'm kinda busy, but I want to help. How can I take action? Many of the musicains involved in this have several part time jobs in addition to rehearsing, promoting, and performing. So, we've structured our missions such that people can take on as much or as little as they can while maintaining balance in their lives. 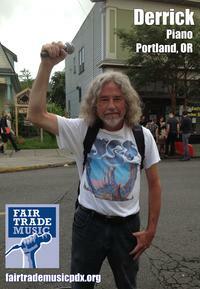 Endorse Fair Trade Music, and encourage your friends, fans, and fellow musicains to do the same. Send them a short message telling them about the campaign and why you are endorsing it. Include a link, natch. These are but little drops. Many drops make rain, rain makes rivers, and rivers carve the earth. All we ask is that you start with one of these - five minutes - a week. As always, feel free to CC: us and/or share.